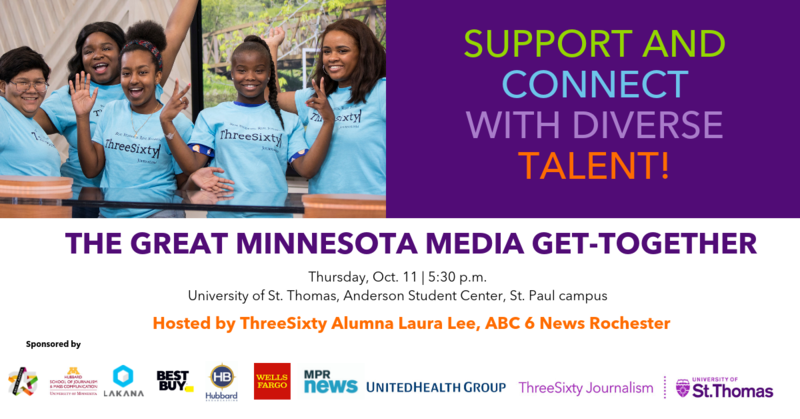 Support and connect with diverse talent at the Great Minnesota Media Get-Together, hosted by ThreeSixty alumna and ABC 6 News anchor Laura Lee. Mix and mingle with ThreeSixty Alumni, media reps plus other professionals. One hundred percent of proceeds support ThreeSixty’s award-winning programming.